Manchester United legend-turned-pundit Gary Neville believes Antonio Conte could soon be walking a tightrope at Stamford Bridge, should he fail to bring David Luiz back into the starting lineup. The Brazil international was axed from the matchday squad versus Manchester United last weekend after he produced a below-par performance in the 3-0 Champions League defeat to AS Roma. Speaking on Sky Sports, Neville claimed that Conte is unlikely to keep his job for long if he is to continue his rift with David Luiz. He compared the defender's situation to John Terry's back in 2007 that led to Jose Mourinho's sacking. He said, "Every manager who has taken on the players here has gone pretty quickly. It is a big call because if you take on these players in that dressing room, where David Luiz is a big influence, a big character, you can lose at this club. This is not the end of this — this is the start. 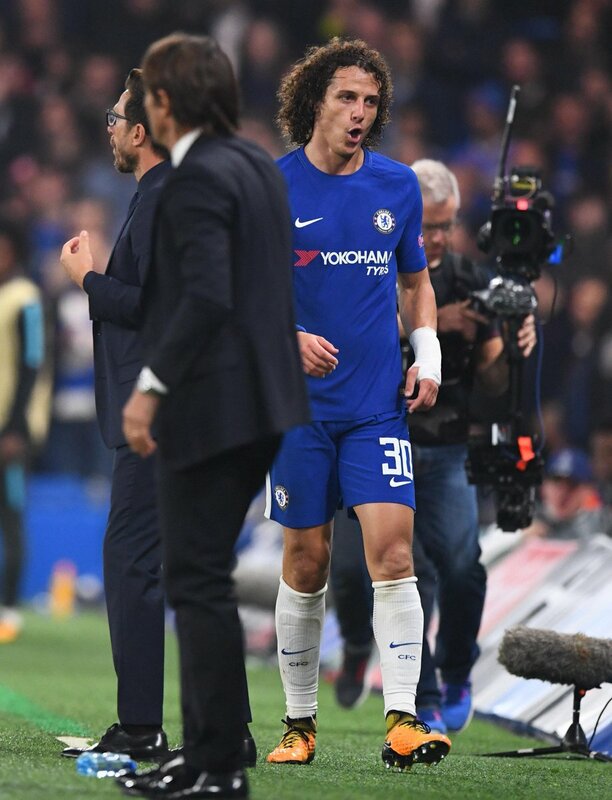 Conte has won today, but in two or three weeks’ time if David Luiz is still sat on that bench, every time they concede a goal, the cameras will flip to David Luiz. It was the same with John Terry." In the absence of Luiz, Andreas Christensen stepped up to the plate to produce a standout showing in the 1-0 triumph over Manchester United. The Dane also impressed in the 2-1 victory against Tottenham Hotspur earlier in the campaign, and he could keep his starting spot for the next set of fixtures. The 17-year-old centre-back, Ethan Ampadu, was preferred ahead of Luiz for the matchday squad against United, and former Liverpool star Graeme Souness believes that Conte can't get away with a similar decision, should the Blues lose points in the game ahead. Chelsea are currently nine points behind table-toppers Manchester City, who look favourites to secure their third Premier League title and the first under Pep Guardiola.